I hope you are all well, and that you enjoyed my last blog on setting your intention for an awesome day :-). 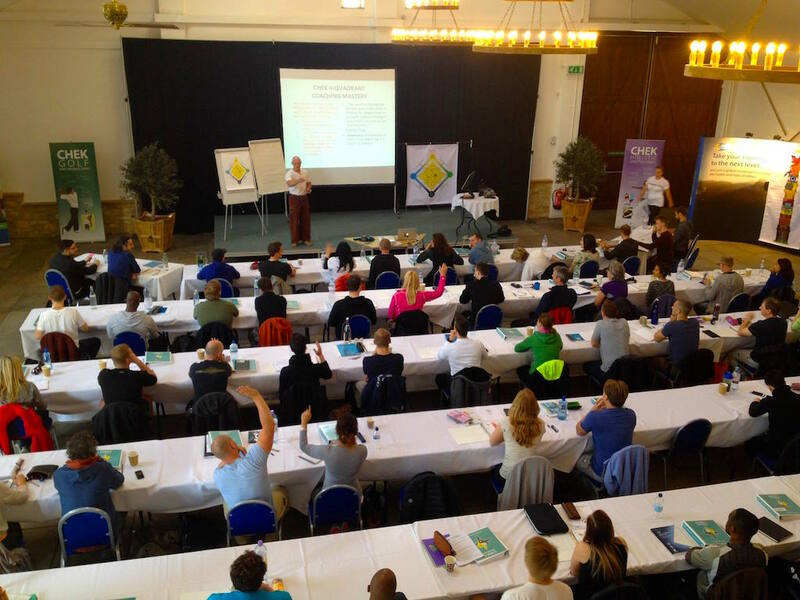 I finished teaching my new CHEK 4-Quadrant Coaching Mastery workshop to 75 amazing students yesterday. It was a very powerful experience for the students, and lots of deep healing and realization. 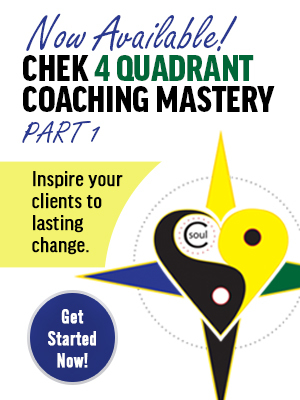 For myself, I loved teaching and sharing the essentials of my C4Q coaching model. Several of my HLC 3 students stayed and attended, and shared that they were grateful to have attended HLC 3 first because it allowed them to understand the depth of my teachings more fully. CHEK Instructors Matthew Wallden and Leigh Brandon attended the workshop too, and I had a great time visiting them. I also got to visit with CHEK Mentor Warren Williams, and it was lovely to see him; he’s such a passionate learner and always enthusiastic. 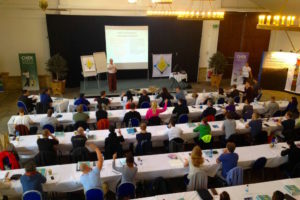 CHEK Level 4 Practitioner Greg Muller, Founder of Pure-Athlete also attended the workshop and it was great to visit with him. He said he really enjoyed the teachings and I felt blessed to have such high level CHEK Professionals in the workshop; they are always a support for, and gift to the others in attendance. There were many CHEK Academy students attending as well, and I was grateful to see them engaging so fully in the learning and healing processes in the workshop. Thanks for joining us all of you! Gavin and Gabi Jennings of CHEK Europe did an AMAZING JOB organizing and running all our events here and I’m abundantly grateful for their love and support! We got to visit their little 2.5 year old daughter, Sabrina while we were here and she’s so beautiful, healthy and strong. 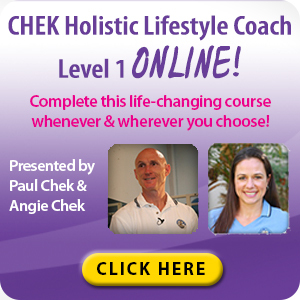 She’s a real testament to the CHEK Holistic Lifestyle, as are so many of the children of CHEK Instructors and Practitioners. A special “Thank You!” to Henry Maitland for sharing his beautiful studio, Core-Evolution with us so we could get regular workouts while here. We had lots of great early morning workouts. We also enjoyed lots of great tai-chi with the students in the early morning, and I had some lovely sessions on my own. When I got up Saturday morning to do my tai-chi at 5:30 AM, there must have been 50 rabbits in the grassy area where I was practicing. It was fun to have so much life around me. We also saw a beautiful fox while out walking with Mana on the local trails, which was fun. Mana has had lots of fun hikes with Momma Penny on this trip, and he loves being outdoors. Penny took him on walks several miles long and he never complained at all. He loved visiting the chickens, swans and horses on the organic farm here too. Mana recently rolled over two times on his own, and is now making a lot of sounds and trying to make words. The first word we’ve heard from him that he can pronounce well enough that anyone can understand is “good”, which is good. 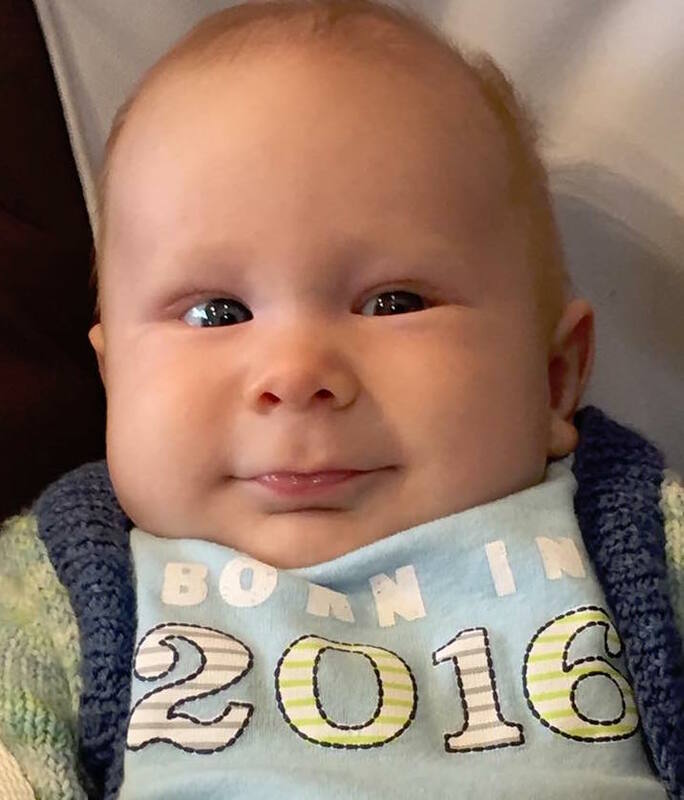 I never dreamed I’d be having so much fun with my little guy, but I’m enjoying him every moment, and watching him grow and develop is amazing. Angie does an amazing job loving and caring for him, and it is soothing for me to see the deep heart connection between the two of them. The beauty of the love between mother and child is really something special to witness and be part of. Jason and I have worked together for several years now, and he’s healed and grown tremendously. 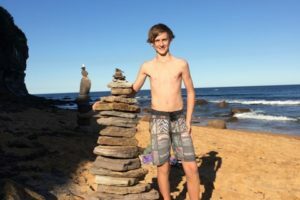 I get the joy of knowing that Jason is a healing force wherever he goes, and if you read this interview, I’m confident that you will be inspired to know that you can heal from any life challenge after reading Jason’s interview. BBC news recently shared a short summary of a research project using magic mushrooms for the treatment (and healing) of depression. Fortunately, there are now a number of studies emerging to show the amazing healing power of psychedelic medicines. I think humanity at large is learning that the medical system and it’s bed-partner, the drug industry are dangerously short-sighted; and along with that, many researchers are coming face to face with the reality that if they’d have listened to the shaman of the world, we’d have had much better medicines and more respect for the healing powers of nature long ago! Shaman and Medicine Men have been using psychedelic medicines to heal a wide variety of maladies for approximately 100,000 years according to a variety of anthropologists and other experts who’ve studied indigenous cultures. When I studied the history of modern medicine, it was heart wrenching to see how many of the medicines they use, and recipes to make them were taken from natives around the world…without ever mentioning where they got the formulas, paying them anything for their incredible support and wisdom, or even mentioning where they got the recipes and concepts from. It makes me sad when I see all the claims of being credible as a healer or professional of any type “only if you have a university degree”, and all the emphasis on ethical referencing and so-called scientific ethics when the truth is, the medical-drug industry is one of the most ruthless, dishonest, secretive and cunning of any professional field world wide!! It is amazing what the desire for power, money, and control over others will do to people… I encourage my students to live true to themselves and be living examples that all can follow so we can all be part the healing force on the planet that is so needed at this time. Today in my video blog, I explore the power each of us have with the use of choosing “yes”, or “no” in relationship to persons, places, things and events in our lives. 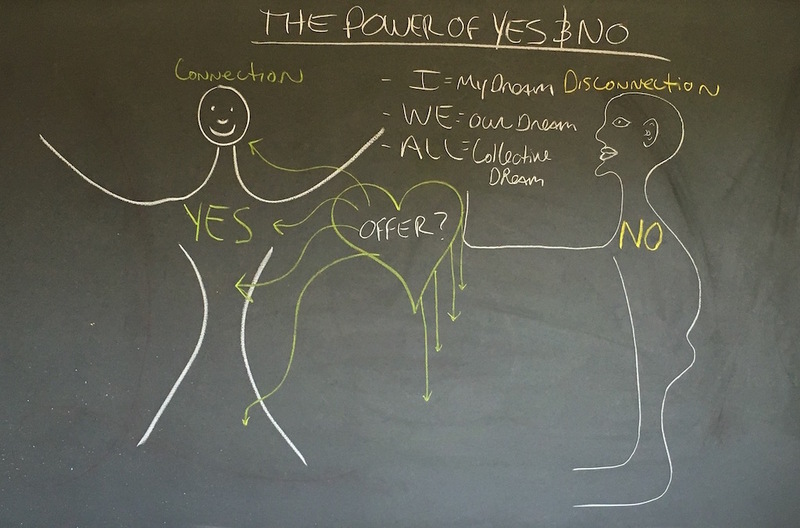 I explain how “yes” creates connection and allows our power to flow, while “no” stops the flow of our personal power. 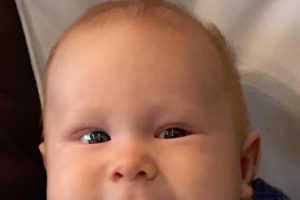 I refer to the work of Arnold Mindell, founder of Process Work Institute in Portland, who reference to “double messaging”, which means to say one thing, and mean something other. I share how this creates confusion, and is often linked to our use of yes, and no. 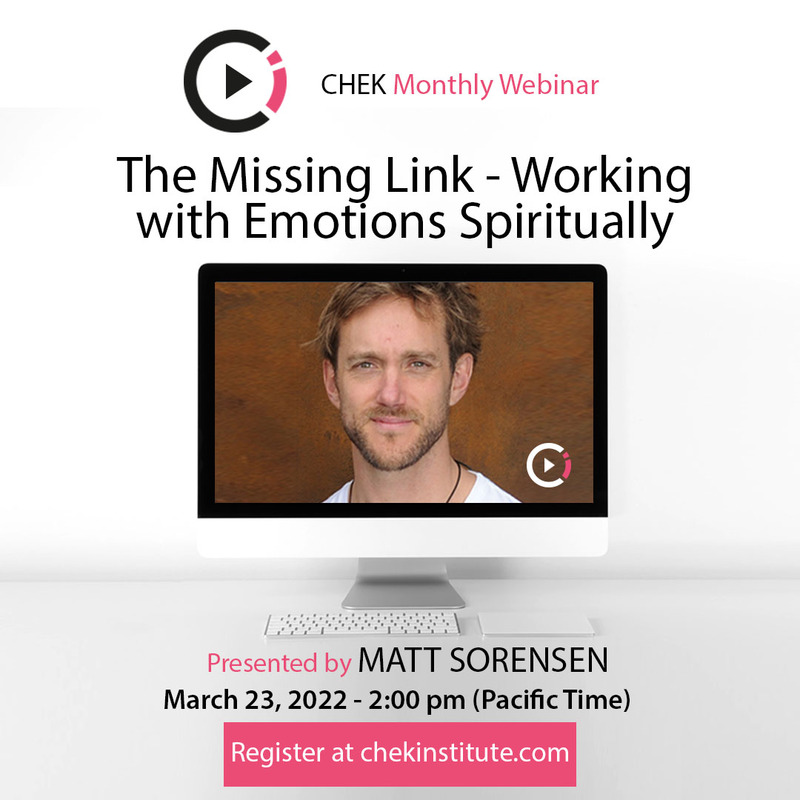 As we go through the video today, I also explain how the power of your yes and your no relates to three levels of spiritual reality, the “I”, “WE”, and “ALL” levels. I hope you enjoy and feel empowered by the simple, but powerful awareness I share today. 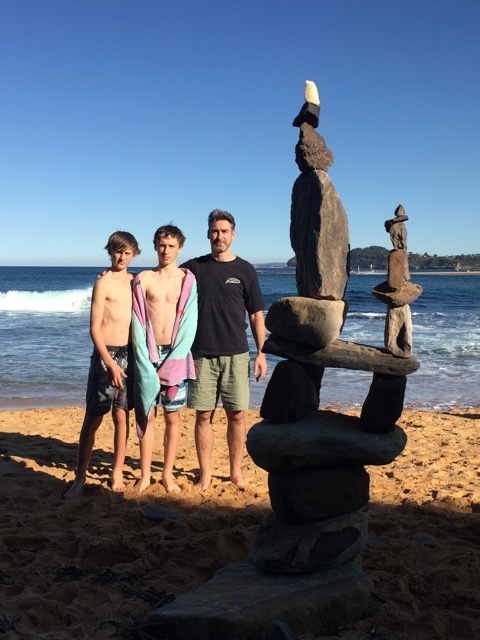 Donal Carr Stacks Rocks with His Sons’ Ryan and Josh! One of the things that brings a lot of joy to my heart is to see families play together. 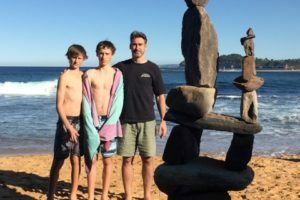 Donal Carr (CHEK Faculty) and his family live in Australia and will often spend time together at the beach rock stacking. Thanks Donal! I love what you created together. 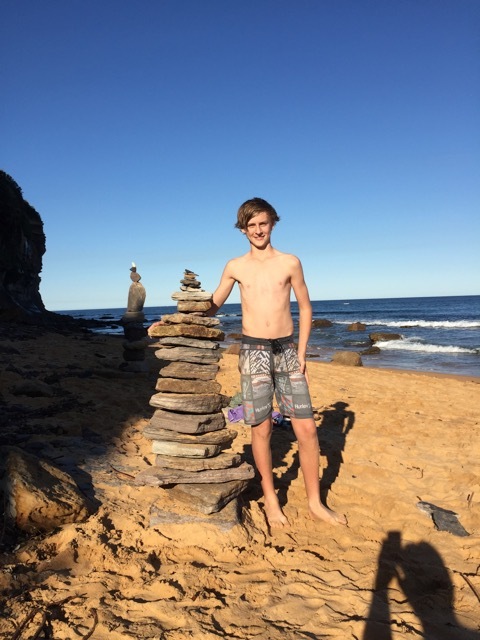 I have so many fond memories of our rock-stacking adventures there with you. I have a lot of gratitude flowing through me today and I have a day of rest before I’m back on a plane heading home with my family. May you practice loving and living in such a way that you also inspire others by your own example.